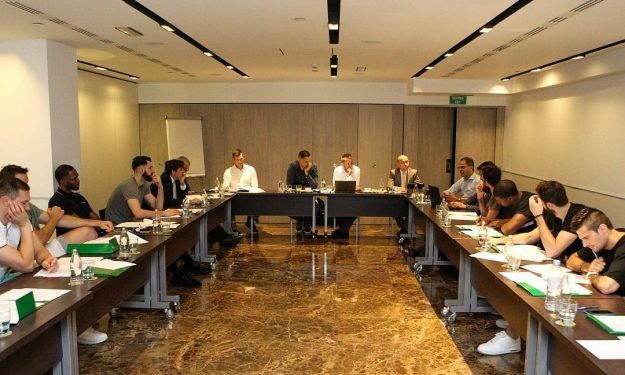 The EuroLeague Players Association’s (ELPA) Managing Director, Bostjan Nachbar attended the National Basketball Players Association’s (NBPA) Leadership Program in Las Vegas. “Bostjan Nachbar used this seminar as a beneficial learning experience and gathered plenty of useful information for the continuous building and expansion of ELPA. He also spent a lot of time with Mr. Ron Klemper, NBPA Senior Counsel, who has been in charge of negotiating five Collective Bargaining Agreements between the NBPA and NBA.